Russia, a country that is synonymous with everything that’s big. Having the longest railway built on the largest soil that covers more than a ninth of the earth’s land. It is also the second largest oil producer in the world. Moscow nestles the most billionaires than any other known cities of the world. Before we forget, they also have the biggest McDonalds in the world. One that seats 700 people at once! Nonetheless, Russia is no stranger to the gaming industry. Their market share reached nearly $1 billion in 2015 alone with World Of Tanks taking the lead. In a country so vast in size, there are always some smaller studios lurking between the cracks. One of them is Limkernel, an indie game developer based in Krasnoyarsk with the passion of taking shooter games to another level, by making it real time and cross platform. 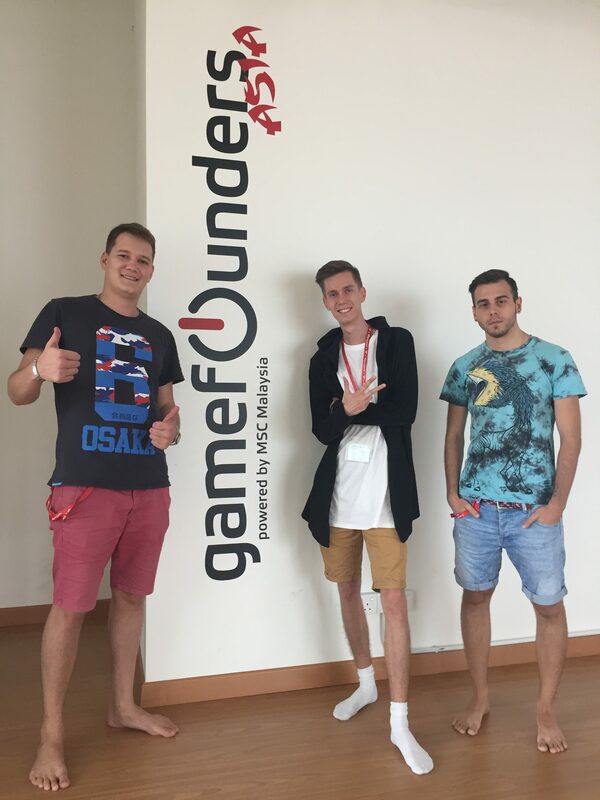 Three tall lads; Nikita, Grigorii and Dmitry are the core members of Limkernel. They started their venture in gaming back in 2010 where they had no experience at all and had to start from scratch. Nikita had learnt a little bit of programming when he was studying in University and started to create some parts of a game. Five years down the road, they successfully created several games that preceded the current shooter game they’re focusing now. The game is a 3D mobile shooter called Hassle. The game is essentially a real-time top-down shooter with a strong emphasis on multiplayer and high-quality graphics. Their aim is that they want to incorporate visual you normally see from a conventional console and optimize them into the mobile platform. This is to ensure that mobile players will get a sense of satisfaction while playing a visually stunning mobile shooter. Plus, it’s optimized for cross-platforms so there will be no compromises between Apple and Android users. The game can be played in a lot of modes, there’s a single player mode, co-op mode and also the PVP mode. It goes in a sequence of missions where players have to fight off monsters and defeat challenging bosses at the end of each mission. The team is no stranger to hard work and plenty of effort was put in throughout development. Before the trio worked on Hassle, they worked on a different game called The Atomic Siberia, which was also a top-down survival shooter for the mobile platform. The game engine they were using was becoming obsolete so they decided to create re-make a new game based on the old one with a fresh coat of paint and a new name. During the transition, they brainstormed and changed everything from the concept, graphics, content and every other element. The only thing that remained was the player’s experience. However, the demise of The Atomic Siberia is not in vain as that game is frozen for now for later developments. For Hassle, they started prototyping in November 2015 and completed the playable version by February 2016. They have since been tweaking the game to make it the best version it can be. Limkernel’s experience here in Game Founders has been fruitful. When asked about how they find the food here in Malaysia, all of them giggled and said that the food here is mostly too spicy even though some of their favourite dishes are noodles and chicken rice. Only Nikita mentioned that he loves the weather here and could live with it all day any day but not for Grigorii and Dmitry, the humidity takes some getting used to. As for the program, they have shown a great interest in gaining knowledge about marketing, promotion, strategies and would like to dive deeper into understanding the tactics of monetization as well as other aspects that could improve them in making their game sustainable and profitable.